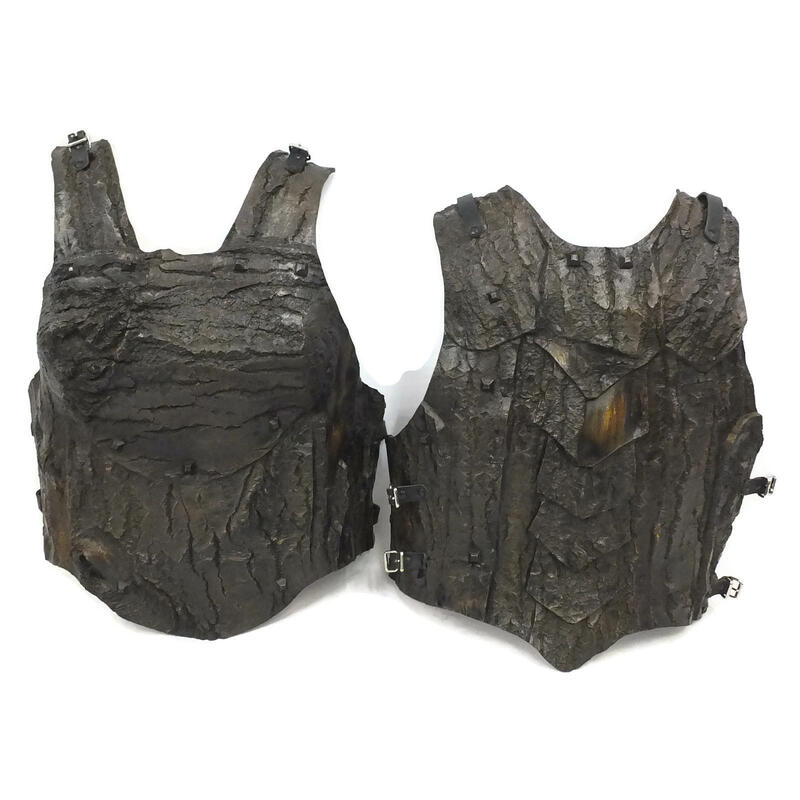 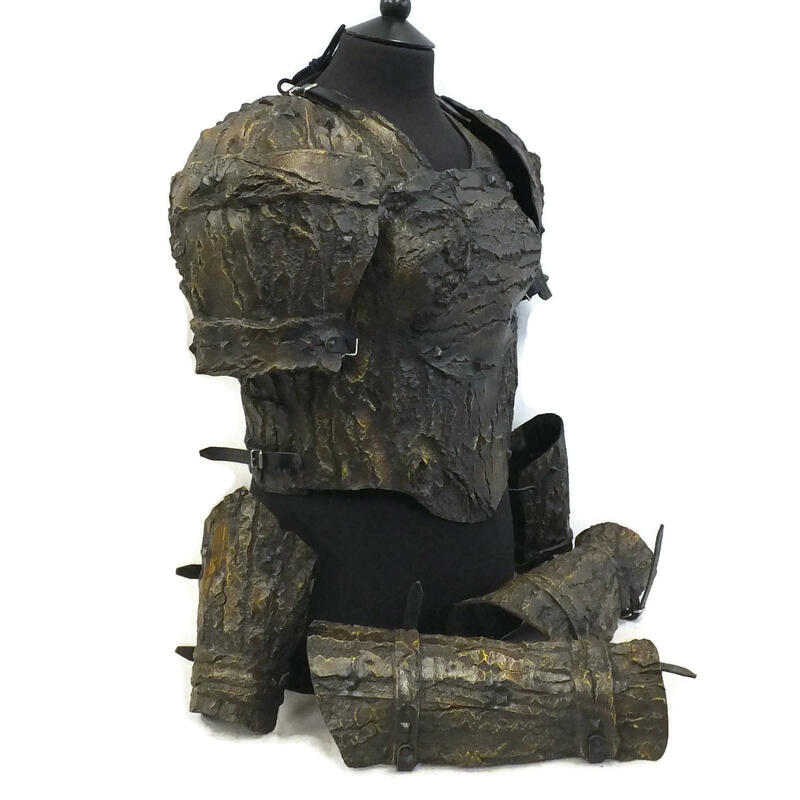 Female Bark effect armour set with square nail decoration. 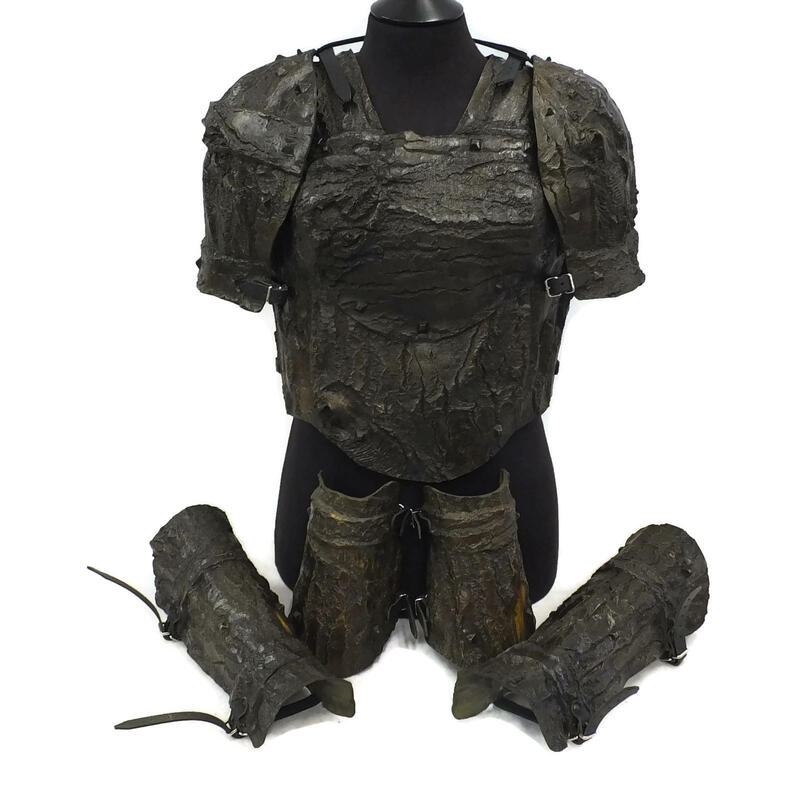 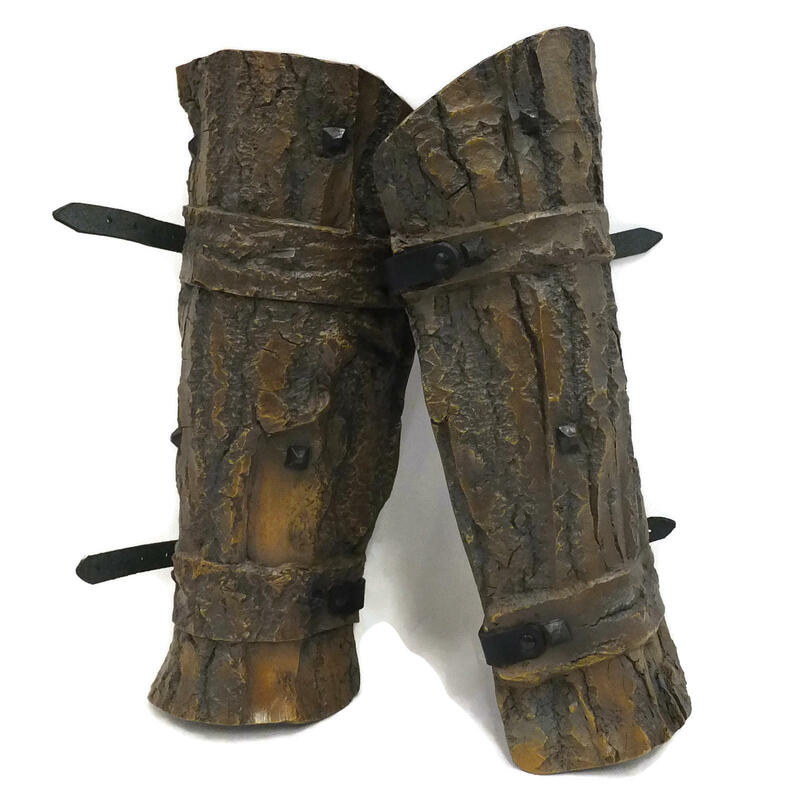 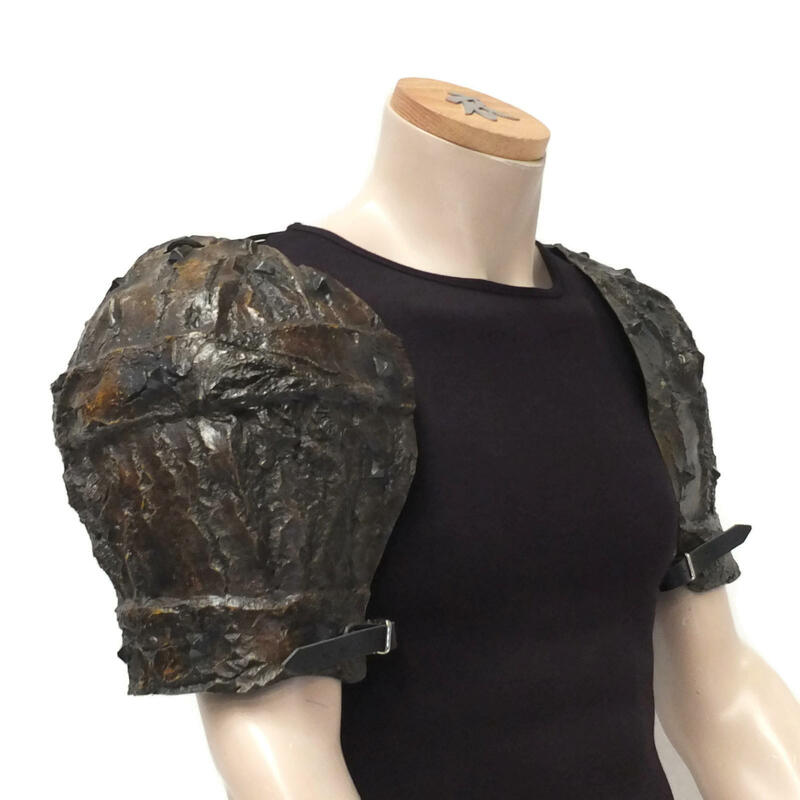 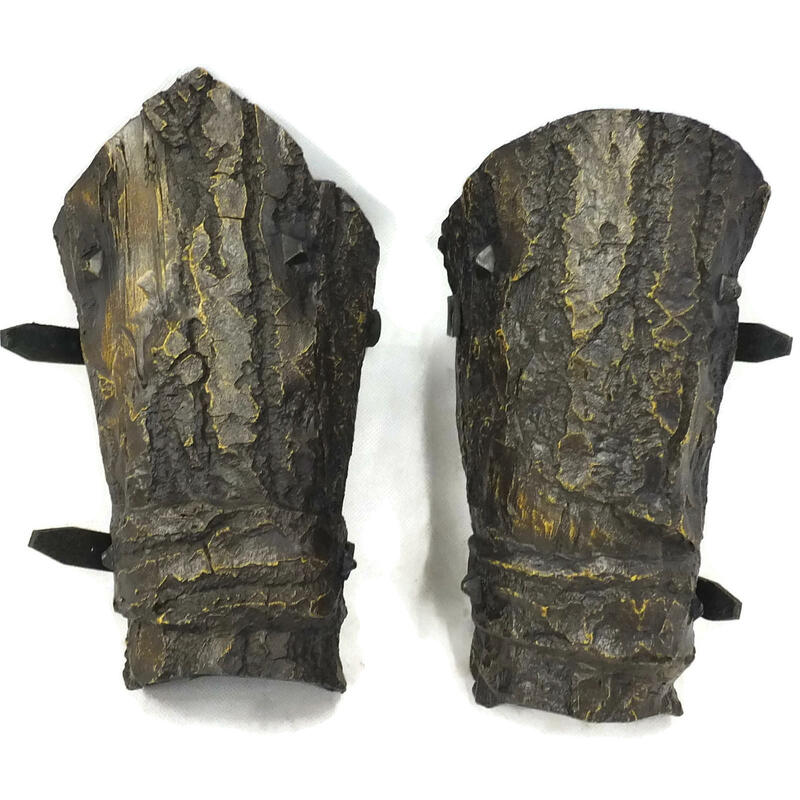 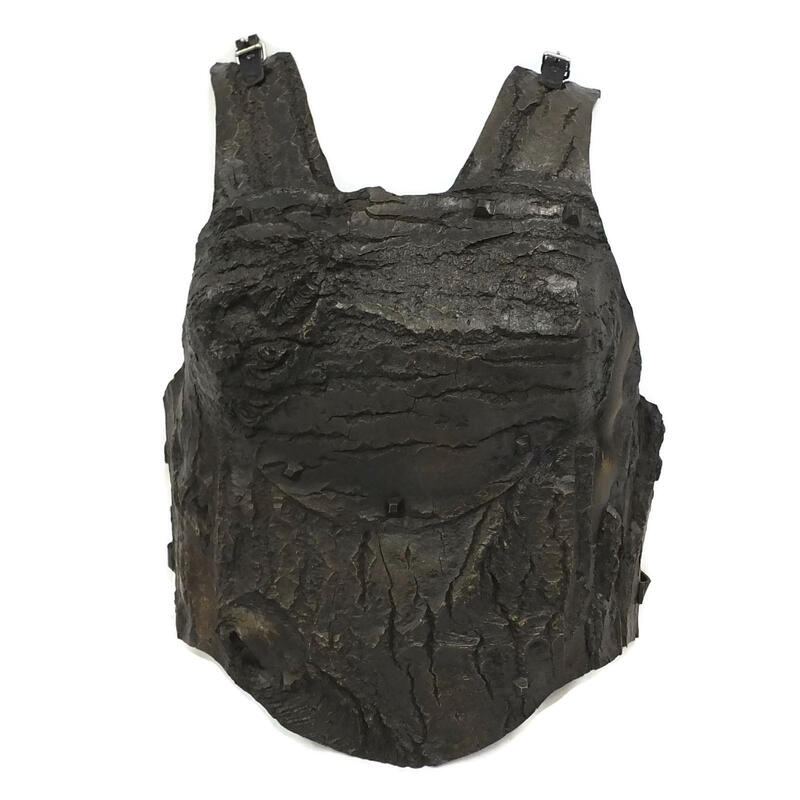 Comes with backplate and matching Studded Bark Bracers, Studded Bark Greaves and Studded Bark Shoulder Armour. 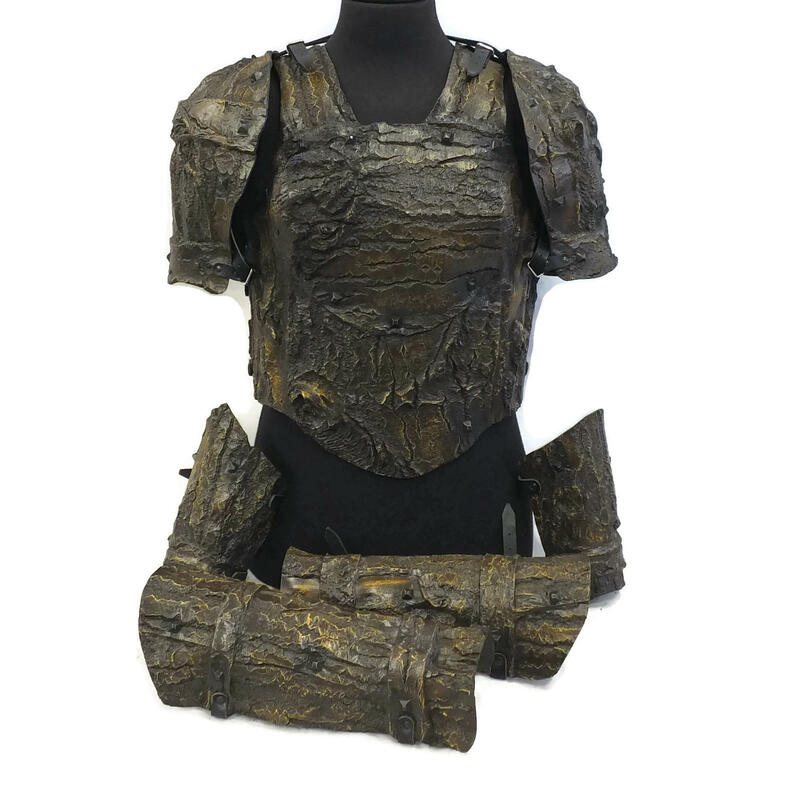 Will fit 46" chest (widest part) 41" waist - will go larger but you will get a gap at the sides.